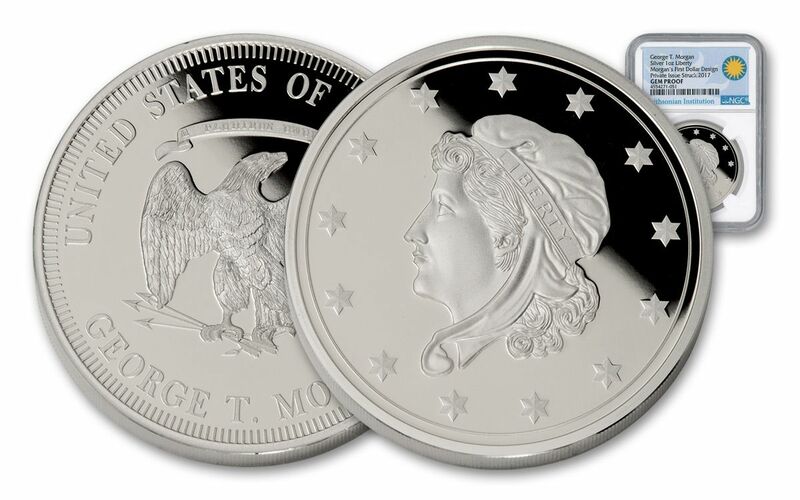 The Hidden History of Morgan’s First Dollars -- Revealed in Silver! Have you ever wondered what lies deep within the vaults of the Smithsonian Institution? What historical wonders and cultural treasures you might uncover? Well, wonder no more -- because the researchers at the Smithsonian recently rediscovered something of incredible numismatic importance! For 40 long years, it waited in the vaults of the Smithsonian. But then, it was finally revealed -- the personal sketchbook of George T. Morgan! 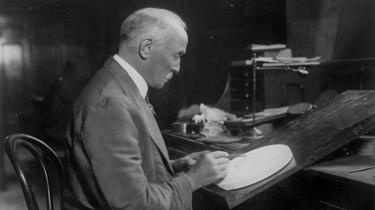 A former U.S. Mint Chief Engraver, Morgan was one of the most celebrated engravers in history, having designed the world-famous Morgan Silver Dollars struck in the age of the American Wild West. Of course, the talented staff at the Smithsonian always knew the sketchbook was there -- but when they examined it, they were stunned when they realized what they held in their hands. This sketchbook was a massive historical find, with entries that began before Morgan traveled from his native England to the United States in 1876 and continued for several years after he began working for the United States Mint. Incredibly significant, this new piece of Morgan’s legacy had spent decades waiting to be shared with numismatists around the globe. The Dollar That Might Have Been! Included in Morgan’s entries were a number of original designs that had never been seen by the numismatic world. The book was a treasure trove of discoveries -- but one page stood out from the rest. Hidden away in the middle of the book, page 31 contained a sketch researchers immediately brought to the Smithsonian’s attention. It was a design for a new U.S. Trade Dollar, which was issued between 1873 and 1885. Unlike U.S. Silver Dollars, trade dollars were specifically created to circulate in foreign countries, particularly Asia. At the time, foreign commerce consisted mostly of European coinage, and it was believed that the introduction of an American coin into that market would increase the United States’ financial influence overseas. Judging by the age of Morgan’s sketchbook, it was clear that his design, had it been brought to fruition and struck, would have seen the light of day sometime in the 1880s -- meaning the coins would not only have crossed the globe on behalf of the United States of America, but would also have claimed the historic title of Morgan’s First Dollars! A New, Original Morgan Design for Your Collection! When this new design was rediscovered, plans immediately began on how to release this exciting piece of American history to the numismatic world. The answer, of course, was obvious: give them something that they could physically hold and add to their collections. After all, part of the reason history and coin enthusiasts collect is the ability to hold a real piece of numismatic history in their hands. The proofs were given the name Morgan’s First Dollars and, as you can see, the result of striking Morgan’s historic design is nothing short of incredible! Each of Morgan’s First Dollars is officially authorized by the Smithsonian, displaying Morgan’s design exactly as he originally intended. 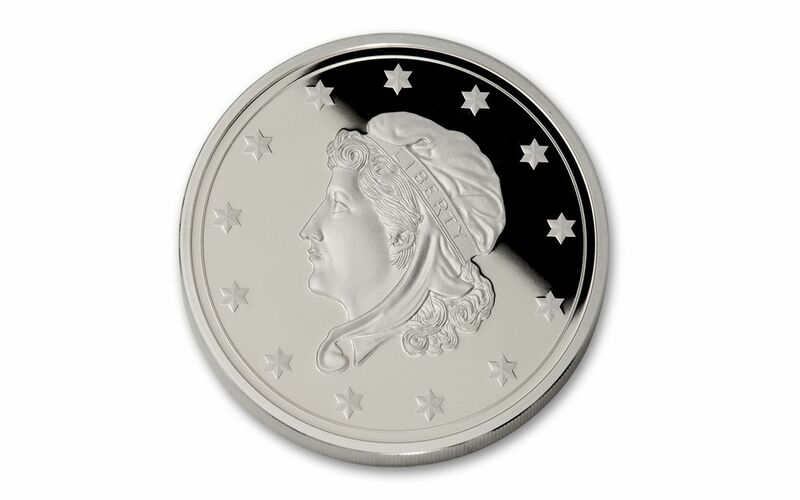 Each proof, struck in a full ounce of 99.9% fine silver, features Lady Liberty surrounded by 13 stars, representing the founding states. She notably wears a "mob cap," a cloth bonnet that became popular among the French working class in the 1800s, and so was often seen in great numbers during the marches and public demonstrations of the French Revolution. By having Lady Liberty don the mob cap, Morgan was making a bold statement: Liberty represented the ideals of every American -- not just the wealthy. On the reverse is one of Morgan’s first eagles, adapted from the original trade dollar designed by his predecessor, U.S. Mint Chief Engraver William Barber. This element alone is important to note, as Barber and his son Charles actually waged a campaign against Morgan’s involvement at the mint. After seeing Morgan’s talent, they believed that he might be given the role of chief engraver when William retired or passed away -- a role that was originally expected to go to Charles. They were right. Act Now or Risk Missing out Forever! With a release of such historical importance, there’s no telling how long our supply will last. That’s why you need to secure your own selection of Morgan’s First Dollars NOW. 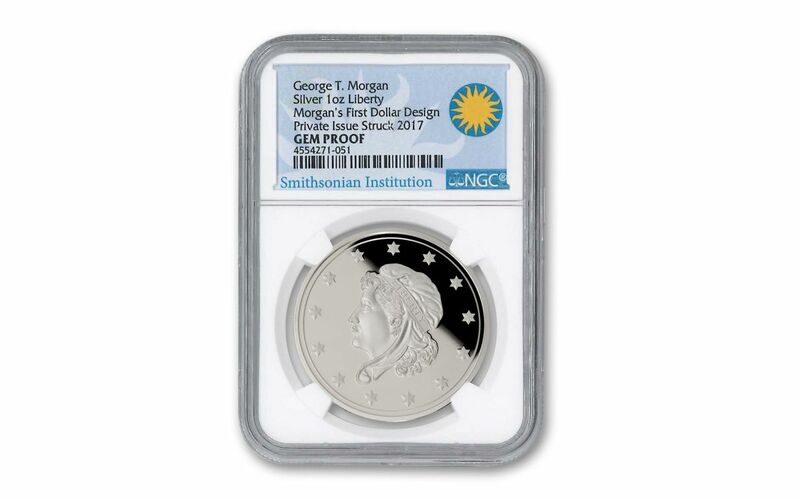 Each proof is professionally certified as Gem Proof condition by Numismatic Guaranty Corporation (NGC) and comes sealed in a protective acrylic holder to guard its provenance forever. Don’t let numismatic history pass you by -- secure yours now!